After Fit To Fat To Fit aired, we’ve had a lot of people reach out to us for help. That’s why we created the Pfat to Pfit program, which was similar to the same transformation program Tasha and Steve followed. However, we still have a lot of people reaching out to us who we believe need more of a real beginners program – more of a “fat to healthy” program, so we created the Dr. Stopper. We originally designed this program for the obese person who needs to get healthy and avoid future filled with medications and doctor’s visits. Since we know the idea of working out an hour a day can seem daunting (and even impossible for someone who gets out of breath just going up one flight of stairs) we decided to design a program that would be effective and challenging, but wouldn’t be overwhelming. We also felt it was important to add a motivation component to it that helped track physical progress since we can’t expect to see big changes in weight right away. The Dr. Stopper’s progress tracking sheet well help you see your improvement in your fitness before you may see it reflected on the scale. This motivation can be paramount in helping to keep you showing up and moving one step closer to your goal each day. The Dr. Stopper program is a progressive program that gets more challenging as you get more fit. Each week the workout increases in length, starting with only a 15-minute workout your first week and ending with a 45-minute workout your 4th and final week. The exercises in the Dr. Stopper are simple, but plenty challenging, and only use your body weight. So, that means there are no real tools you have to purchase. The idea behind every exercise sequence is to get your heart rate up to improve your cardiovascular health, burn calories to aid in weight loss and get you fitter and stronger so you can do normal daily activities better – and ultimately have a higher quality of life no matter how much weight you lose or don’t lose. Don’t want to workout alone? You can follow this program with anyone – even a super fit person, without feeling like you are holding them back. Since the program is based on time and not performance, you can workout with a spouse, child or friend, and you will both get a great workout in because each of you are doing YOUR best. So, you can do this program with your family, co-workers or BFF – no matter what shape they are in and you will both walk away smiling and proud! Getting healthy is more than a clothes size or number on the scale. You need to get healthy for your family, for your future, for your happiness. Your health not only affects you, it affects everyone around you. While you CAN lose weight with the help of this program, please focus on the changes going on inside that are not reflected on the scale. This is crucial in your success and understanding how fitness can affect your entire life. Whether you want to be a healthier mom that can keep up with their kids or you are retiring and want to be fit enough to travel. This program can get you moving better, breathing easier, feeling better and living healthier. BEFORE YOUR PURCHASE: Turn off your pop-up blocker. You will be redirected to the program introduction page (PDF) with links to all your materials and videos. Use the contact page to notify us in the event you have trouble downloading your materials. We will send you a backup copy of everything within 24 hours of your purchase. Look forward to hearing about your success! Amazed with the information. 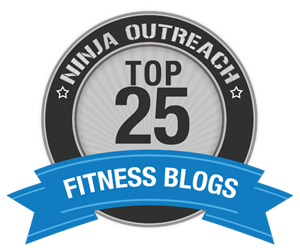 Your blog is a great platform to get information and ideas about staying fit and motivated Thanks for sharing.